If you are interested in catching a Barndoor Halibut, then you found the right charter. Our Halibut charter travels out into the Gulf of Alaska into some of the best halibut fishing area anywhere. Enjoy an incredible boat ride through Prince William Sound on the way to the fishing grounds. Experience the wide variety of marine wildlife, glaciers, and spectacular scenery in this pristine environment. Halibut fishing with Orion Charters is not just a boat ride to go catch a couple halibut and be back to the dock for lunch type trip. Our day charters are about 12 hours (6AM to 6PM) with 4 to 6 hours of cruising and 6 to 8 hours of fishing. 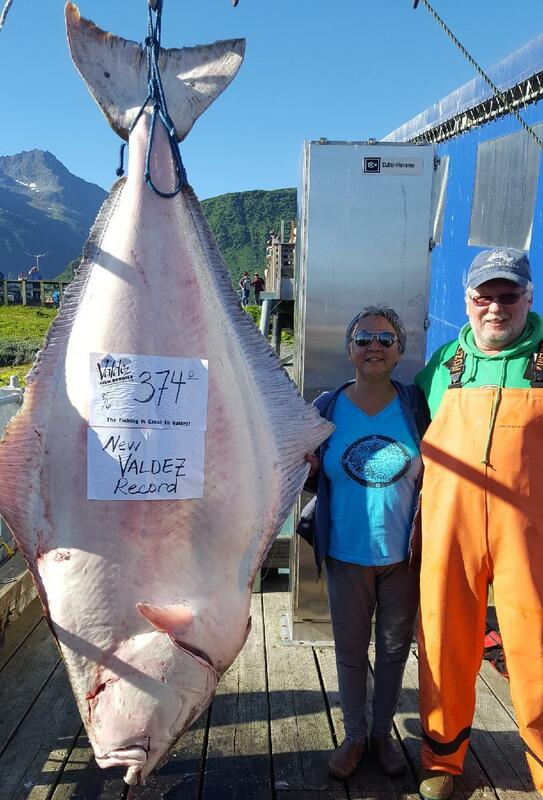 Most of our customers like to participate in the Valdez Halibut Derby. 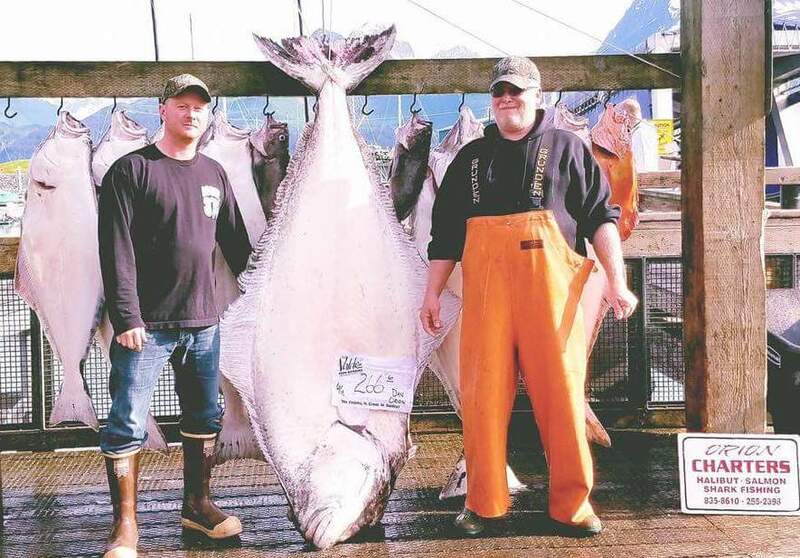 Each week the two biggest halibut weighed in, and overall the top three fish will receive prizes. In addition to catching Halibut, you may also catch Ling Cod, Rockfish or Salmon depending on the time of year. Orion Charters - Captain Dave Wiley has been fishing the North Gulf Coast and Prince William Sound since 1990, and has completed over 2500 fishing trips in the North Gulf Coast and Prince William Sound waters. You can trust our experience to provide a safe, reliable, and enjoyable trip. We are licensed and insured for fishing offshore in the Gulf of Alaska. We have a fast, seaworthy, and dependable 34' twin diesel charter boat specifically designed for these halibut charter trips. Tim Stadtmiller's 266.6#/84" Halibut caught June 18, 2017 . This page was last updated on 11/24/17.